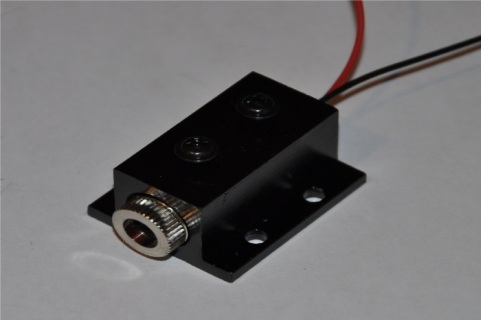 This listing is for a high quality laser module with metal casing, and a mounting fixture that can allow for you to mount the laser to a wall or desk. The mounting fixture does not come with mounting hardware such as screws, but really you should be able to find something around the house to work with ease. The top of the mounting fixture has two screws that tighten the fixture grip around the included 3v 5mw high quality dot laser pointer. 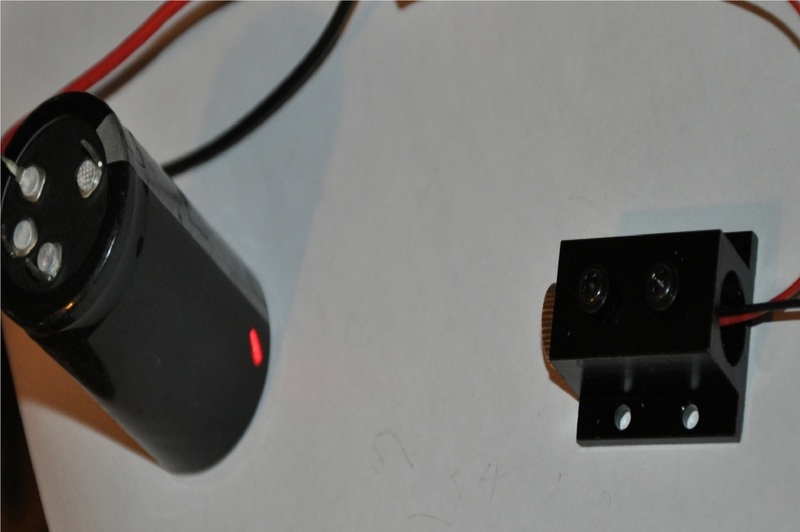 This listing comes with both the fixture and a 3v laser, as seen in the first two pictures. The laser has two wires. Red is the positive DC supply wire. 3v should be fed to this line. The black wire is the DC ground wire, or the negative wire. DO NOT reverse the polarities when powering the laser up, or you can potentially burn the laser out. Do not exceed 3.4v.